For me, the busyness of September always throws the rest of the year off. I always feel behind and that I am trying to catch up. But this year, I am determined to take a step back and breathe. With the holidays fast approaching, it’s easy for our family to forget the gratitude and get caught up in presents, family obligations and general madness that comes along with the end of the year. It’s also important for me to practice gratitude during these winter months as it helps to keep depression away. The cold and the shorter days make me much more vulnerable to S.A.D. (Seasonal Affective Disorder). It helps to cut the negative voice that runs through my head and also helps to keep my mood more upbeat. It helps me to pay attention to the positive. So, I have decided to do three things to remind me to be grateful and to also help my family to focus on thankfulness during the next few months. I hope that you will join me in doing some of these things! Gratitude Journal: I love keeping a gratitude journal because it’s a tangible book that I can flip through later to see what I have been thankful for in the past. If you aren’t into writing, you can always draw, sketch or even paste a photo into your journal. 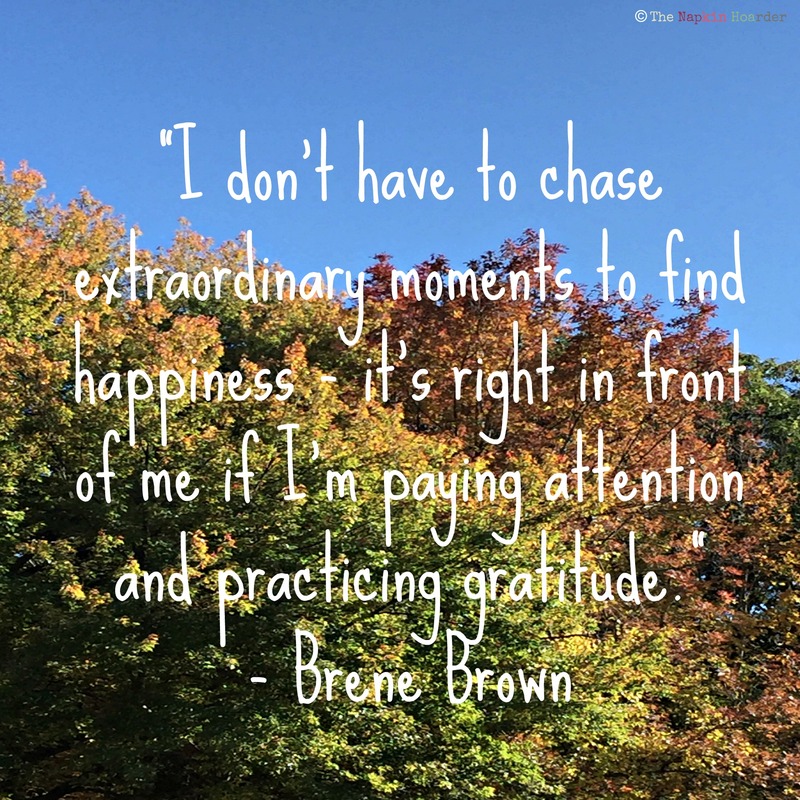 The simple of act of coming up with one thing that you are thankful for each day will help to get you to pay attention – to seek out and to truly practice gratitude. Each day, jot down one thing. It doesn’t have to be profound or extraordinary. It can be simple. Today, I’m really thankful for moving to a town that’s closer to my husband’s workplace because he can pop in for lunch, especially on days that my daughter doesn’t have school. She loves that we get to have lunch all together during the weekday! Also, if you have kids, it’s a great way to practice writing and reading. It also becomes a great little keepsake to look back on and see how their responses change year after year. I usually just do this during the month of November because it gives me an end goal and I don’t feel overwhelmed by the task. But you can continue going for the whole year. 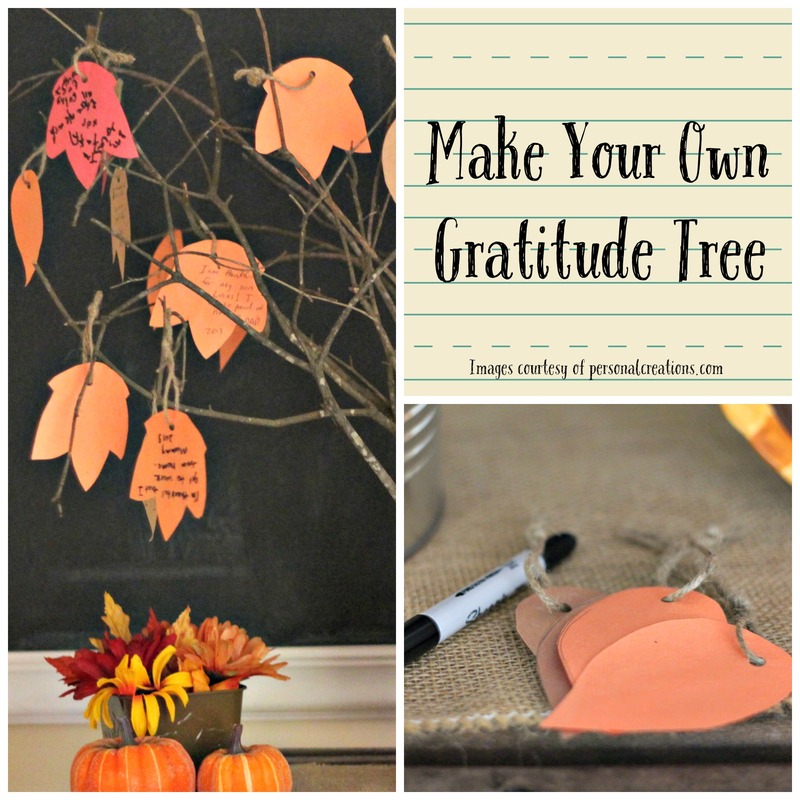 Gratitude Tree/Jar: This is similar to the gratitude journal because you are writing down something that you are thankful for each day, but this involves the whole family and it also puts it on display. You can take real branches and tie paper leaves with string or you could tape up a tree to a wall and then use sticky notes or cut out paper leaves and tape them to the tree. The other option is making a gratitude jar. Just take an empty jar, write gratitude jar with a Sharpie and have little slips of paper nearby. You can write or draw something that you are grateful for and pop it in the jar. During dinner, you can take turns reading a few of them out loud. 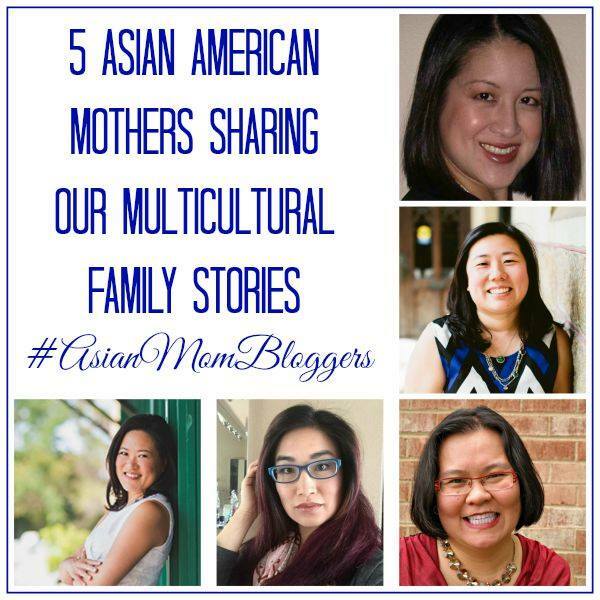 There are many variations on this, but I love that this is something that can be on display and become a conversation starter for dinner guests, other kids who come for a play date or your family. It’s also a good reminder to have a visual display for those of us that like visual cues. Letters of Thanks: Writing letters of thanks has been one of the most meaningful things for me in the past. Several years ago, I decided to write an email of thanks to one person every day in November. It was a transformative experience because I started to realize that I had a lot of people to thank in my life and saying thanks went a long way for many of them – mostly because I had never said thank you to them! I’m sure you can find 30 people to say thanks to. Send an email to them to let them know why you are thankful to them. Better yet, drop them a postcard in the mail. 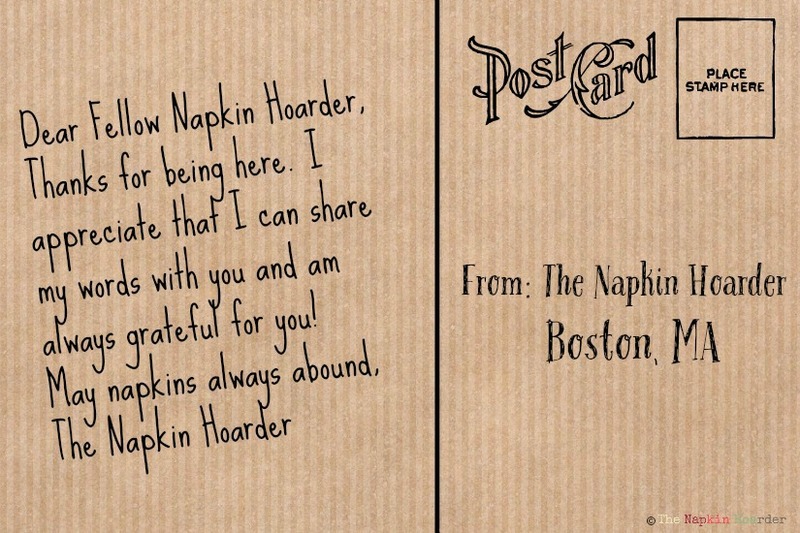 People love getting real mail in their mailboxes – I know I do! Consider this post a letter of thanks to all of you. Thank you for reading my words and letting me share them with you. I appreciate each one of you so much! These are the three ways that I am going to focus on gratitude for the upcoming months. I hope to walk away with a heart full of gratitude and my eyes more opened to all those moments that I can be thankful for. How will you practice gratitude today? Wow, I’m impressed you wrote all those thank you emails. What a great idea! I recently looked up my old high school English teacher and emailed her a thank you note. She made a big difference in my life. Thanks for all of your gratitude tips! All such great suggestions. I keep thinking I want to make a gratitude tree. Maybe this year I will finally get around to it. Thanks for the inspiration! 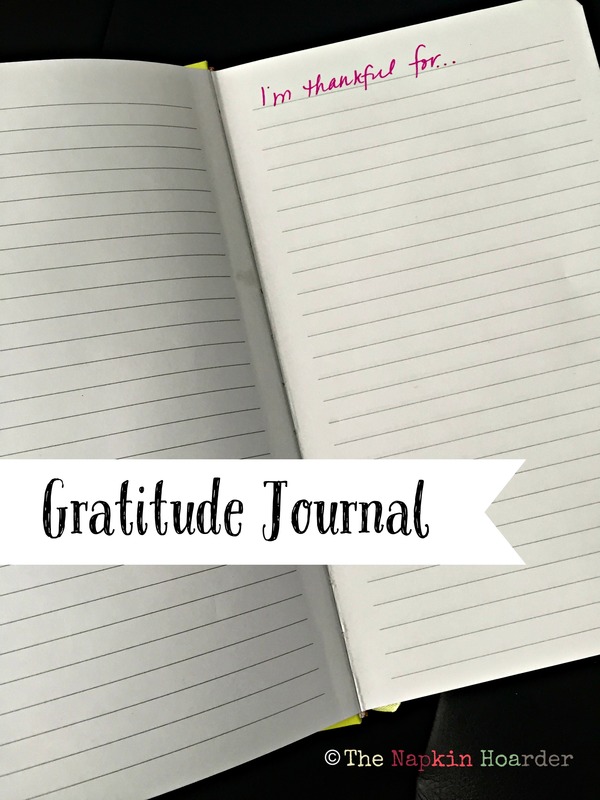 I’ve tried to start a gratitude journal several times but never last more than a week. I enjoyed the practice when I was doing it. I like that you focus on just doing it for November.